As he mentions in his letter dated 9 June 1985 to the Dikaios(1) Elder Anthimos, the skete at that time had eighty fathers. There he was taught the rigorous spiritual life, according to the known tradition of Hadji-Georgis, as well as sacred chanting and iconography. 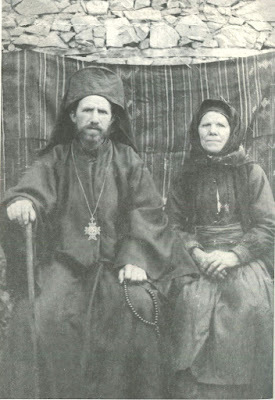 He learned iconography from his fellow brother and second elder the monk George (+ 1938). After two years he became the canonarch(2) of the kyriakon(3) of the skete by the Dikaios Stephen. In 1925, with the blessing of his Elder, he returned to his homeland. 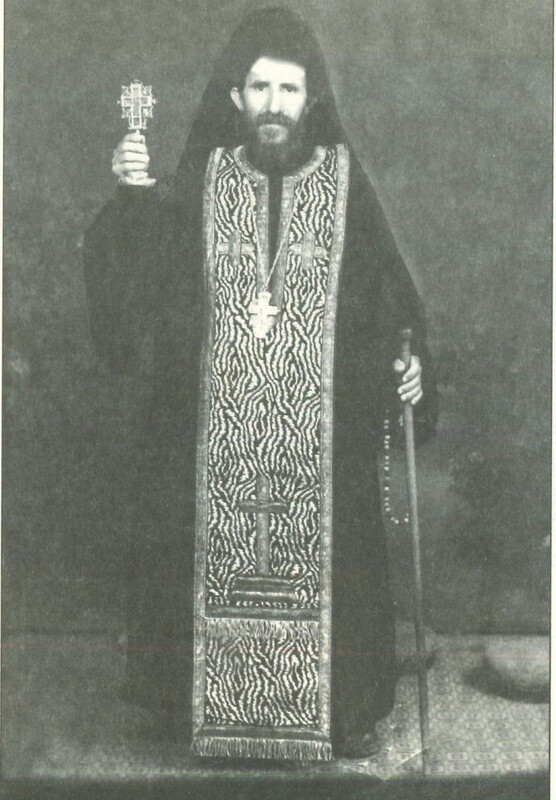 On 1 August 1925 he was ordained a deacon and afterwards a presbyter. Every Saturday he went and did a Paraklesis(4) in the village houses. He was doing twenty Paraklesis' a day. By this he was connecting the residents with the church and the divine services. The pious residents in turn had memorized the Salutations to the Theotokos, the Paraklesis and Compline, which they would repeat daily. Everyone respected and honored him, even the few Muslims of the village that had remained. The Muslims would follow the litanies,(5) they would offer incense in censers, and would bring him oil for the oil lamps of the Panagia. (6) They would even invite him to their home and showed him a particular honor. They had great reverence for the wonderworking icon of the Panagia Plikatiotissa, which he served with love, honor, willingness and cheerfulness over a fifty year period. With emotion he would narrate the many miracles of the Panagia, to all those who venerated her with faith. In 1972 he placed an order for a new service to be composed for the Panagia by the hymnographer Monk Gerasimos Mikragiannanites (+ 1991). 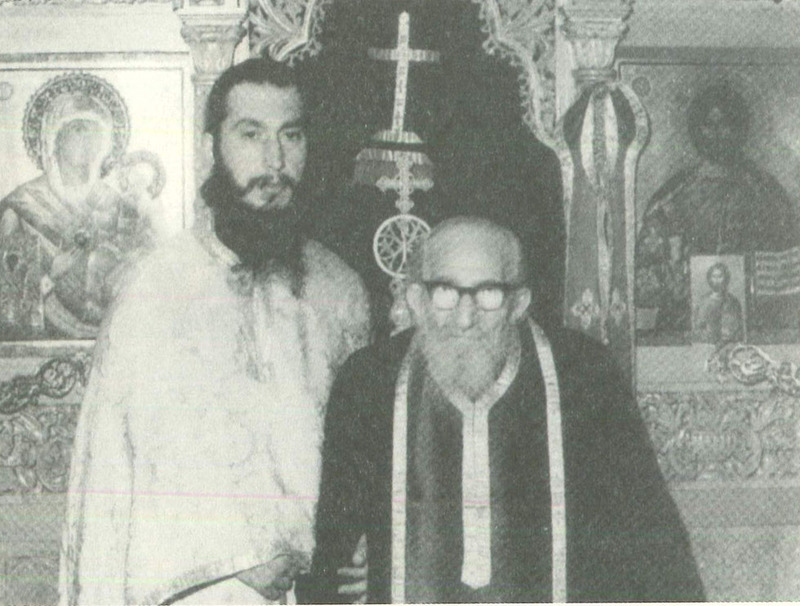 Hieromonk Gerasimos with Hieromonk Onouphrios of Saint Anna. The last years of his life he lived in the Monastery of Dourachani in Ioannina and for a while in the Hermitage of the Honorable Forerunner(8) of the Sacred Skete of Saint Anna. He always kept good memories of his first stay on Mount Athos. 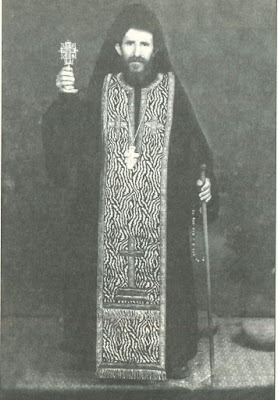 He reposed in the Monastery of Dourachani on 8 April 1991. 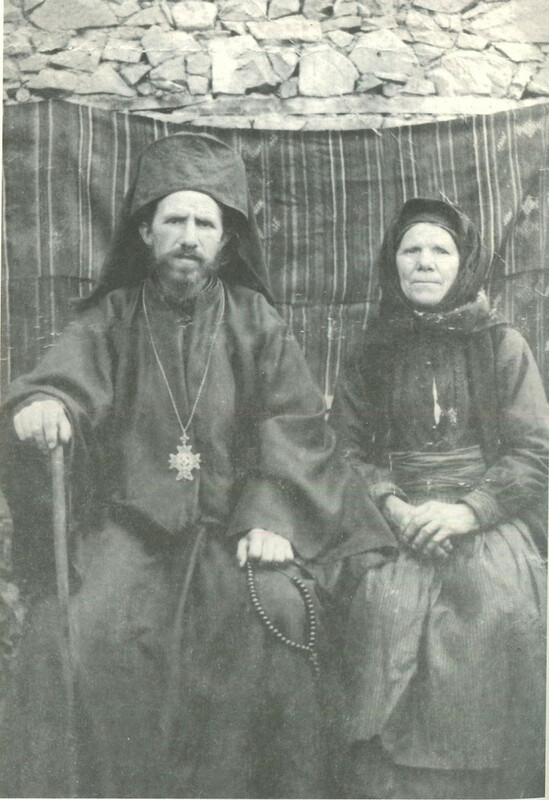 He was buried next to the Chapel of Saint Demetrios, which this revered hieromonk built in the beautiful village of Plikati. 2. Canonarch = Lead Chanter. 3. Kyriakon = Lord's House, or central church of a monastery. 4. Paraklesis = Supplication Service to the Virgin Mary. 6. Panagia = All-Holy, a name of honor given by Greeks to the Virgin Mary. 7. Epitrachelion = Stole worn by a priest. 8. Honorable Forerunner = A name of honor given by Greeks for John the Baptist, who was a forerunner of Christ. Source: Μέγα Γεροντικό ενάρετων αγιορειτών του εικοστού αιώνος ("Great Gerontikon of Virtuous Hagiorites of the Twentieth Century"), vol. 3 1984-2000, pp. 1297-1301. Translated by John Sanidopoulos.